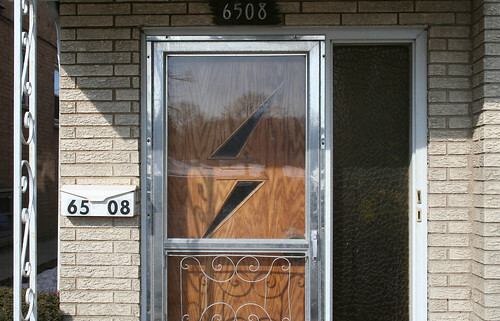 Mid-Century Suburbs, Part 2 – Oh, those fantastic doors! I’ve been temporary debilitated by an eye problem; while I’m recovering, let me dig into the archives for some material I never got around to posting. 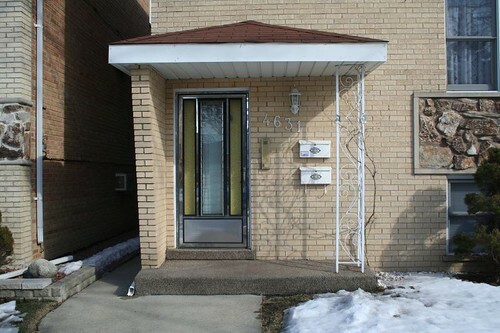 First up: the long-ago threatened promised follow-up to my first post on Chicago’s inner-ring, Mid-Century Modern suburban buildings. 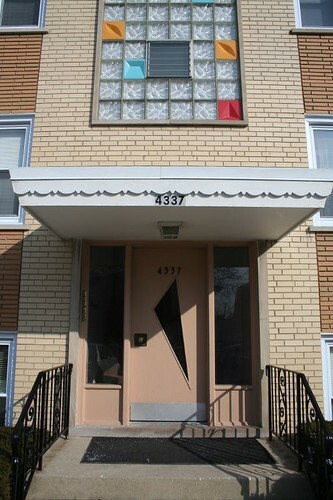 The 1950s and 1960s loved their geometry. 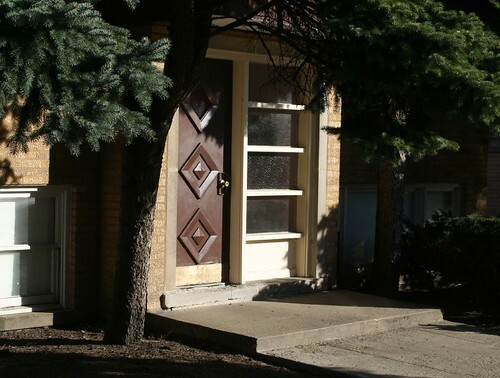 Even the most ardent Mid-Century Mod hater must surely concede the awesomeness of the fantastic designs built into the doors of these otherwise common inner-suburban Chicago apartment buildings. 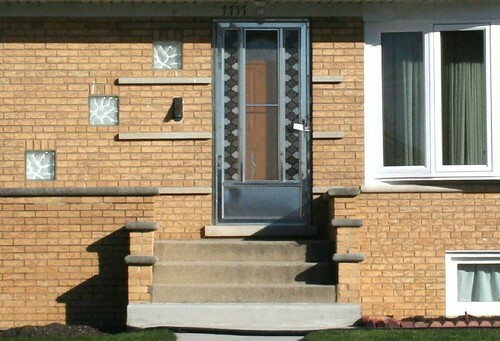 The builder vernacular in Chicago even had its own custom storm door style, shown here in shiny mirror-polished stainless steel, with two narrow side panels and a large central panel. Variations would typically include geometric patterns on the narrow panels, or different shades of colored, textured plastic. 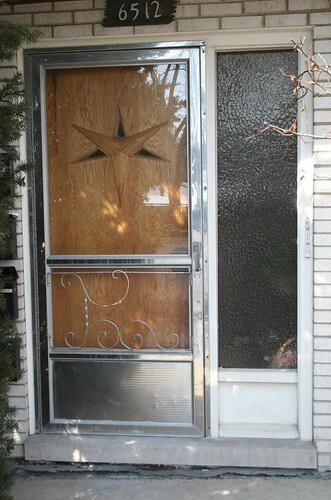 This entry was posted in Mid-Century Houses, Midcentury Modernism. Bookmark the permalink. Those are great. 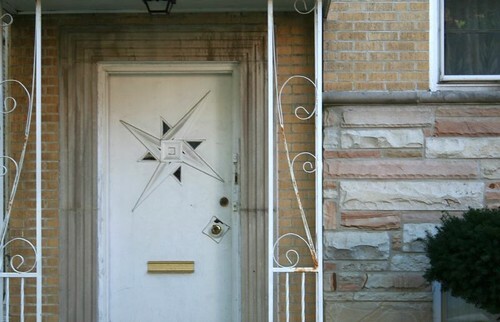 I gotta go photograph some awesome MCM doors I recently noticed down in Evergreen Park. 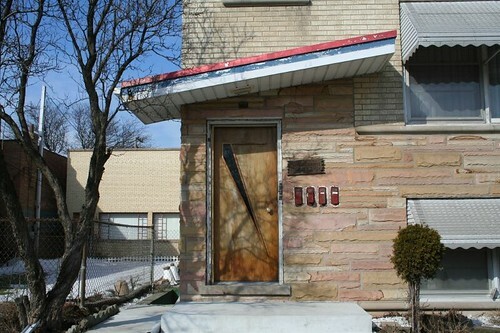 They’re unabashedly googie. a fmous blogger in thhe event you aren’t already. Cheers! Wow! I’ve been observing this style for over 30 years and youv’e shown three examples I’ve never seen before! Perhaps they were localy produced.